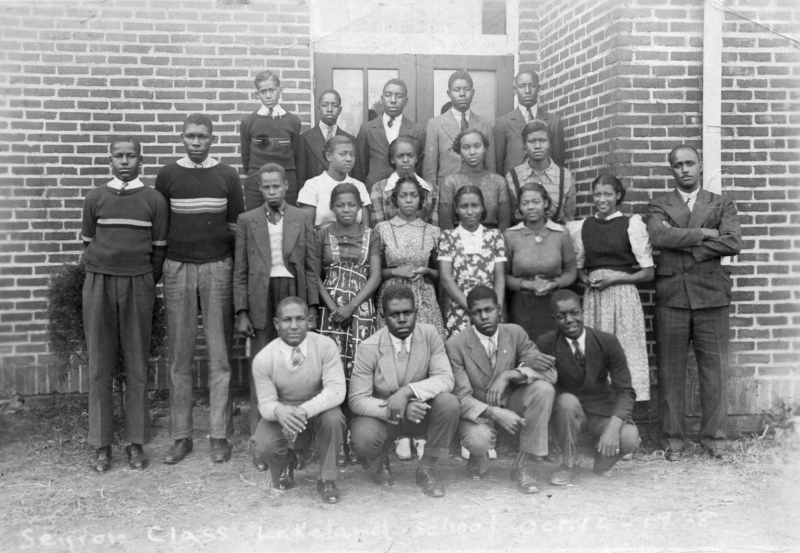 Principal Edgar A. Smith is pictured here with the 1938 senior class of Lakeland High School. Smith was appointed principal of Lakeland High School when the school opened in 1928. He held the position until 1966, through its transition to a junior high and later to an elementary school. During much of this period, he also served as a classroom teacher.